Your academic experience should be the best it can be. To make sure this happens, UPSU supports elected student school and course reps as they work alongside University staff, to give voice to student views and perspectives. UPSU has a dedicated member of staff to support academic representation. Their training and support enables reps to bring about positive change in collaboration with the University and the school in which they are studying. More information on course reps can be found on the UPSU website. What is the difference between a school rep and course rep? School reps work closely with all course reps within their school, supporting them in their work and, where appropriate, raising issues at a school, rather than course level. School reps represent all students in their school and give voice to their views and feedback at both school and faculty teaching and learning quality committees. They may also be invited to sit on other University committees alongside the Vice President (VP) Education. They are expected to meet regularly with the VP Education to collaborate on campaigns, activities and policies relating to academic experience. Course reps liaise with students at course level. They collate feedback and ideas, present these at course and Staff/Student Liaison (SSLC) committee meetings and communicate any associated outcomes to the students they represent. Course reps also work with school reps and the VP Education to progress feedback beyond course level, if needed. Why become a school rep? Learn more about University and Students’ Union structures. Become the voice that contributes to an enhanced student experience. Receive training for the role and gain skills that look great on your CV. Earn Student Voice Recognition Awards with the hours that you log for your work. Record your achievements on your HEAR (Higher Education Achievement Report). Attend the prestigious SSTAR Awards. Gain the chance to be nominated for school rep of the year. How do I become a school rep? School rep elections for 2018 will be held via the UPSU website – more information can be found on their website and by contacting studentvoice@su.plymouth.ac.uk. All candidates will be required to write a short manifesto (a few paragraphs) detailing what they feel they can bring to the role and what they might like to change, if elected. All students will then have the opportunity to vote online for their preferred manifesto. The successful candidate will receive full training; no prior experience is necessary. What is expected if I am elected as a school rep? Actively engage with course reps via meetings, social media and surveys. Prepare for, attend, and articulately represent the views of fellow students at faculty and school teaching and learning quality meetings, on a monthly basis. Organise staff/student liaison meetings twice yearly. Disseminate information and relay feedback to fellow students through a variety of methods. Attend Student Union forums and councils. Work actively to support the development and success of their course and school, which may mean collaborating with staff and participating in academic projects etc. Why become a Faculty of Business course rep? The opportunity to make a difference. This is a chance to make a real difference to yours and your fellow students’ experience at the University of Plymouth. A chance to develop networks and socialise. This is a great opportunity to meet staff and students in your faculty and school but also students from across the University at course rep social events. An enhanced skillset. As a course rep you will have the chance to develop skills that are highly valued by lecturers and future employers alike. These include: communication, public speaking, self-management (personal effectiveness), problem solving, presentation, negotiation, teamwork and leadership. Recognition and reward. All course reps will receive a Faculty of Business course rep certificate for their hard work. They may also be nominated for course rep of the year at the prestigious SSTAR Awards! Course reps will similarly be able to record their work on their Higher Education Achievement Report (HEAR). This electronic document produced by the University of Plymouth, officially captures in one place a student’s wide range of achievements over their period of study. With permission from the student, personal tutors and subsequently employers, can access the HEAR and receive a full picture of the breadth of knowledge and skills gained by a student at university, both in the lecture theatre and beyond. Thus, alongside information on degree content, assessments and module marks, the HEAR is an excellent way of recording extra-curricular activities, such as being a student rep. For more information visit the HEAR page. Additional training, valuable both for study and future employment opportunities. Alongside bespoke activities offered by the Faculty of Business, UPSU will offer additional training to ensure that all course reps are engaged in a process of self-development. How do I become a Faculty of Business course rep? At the start of the semester students on each course will be asked to elect their course rep. This process is often facilitated by a course lead and should take place in a class which all students can attend and express their interest in becoming a course rep, should they so wish. Students present vote to elect course reps for their course/stage. For each stage of each course there should be two course reps, although if a cohort is particularly large, more than two may be elected. Successful candidates will serve for one academic year in the first instance. The same person may hold the position of course rep for more than one year but they must be re-elected annually. This ensures that the opportunity is open to all and that no student must commit to the role for the entirety of their course. 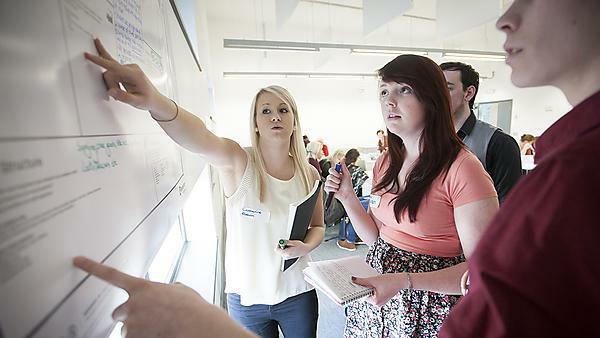 The Students’ Union (UPSU) offers full training to course reps during late October/early November. A representative from the Faculty of Business will also give a bespoke session with faculty specific information, followed by time for questions. Course reps will also be given the opportunity to get to know their school reps and staff support. What is expected if I am elected as a course rep? work actively to support the development and success of their course/school, which may mean collaborating with staff and participating in academic projects etc.